Jonas Brothers Fandemonium: Jonas Brothers NEW MYSPACE LAYOUT!! 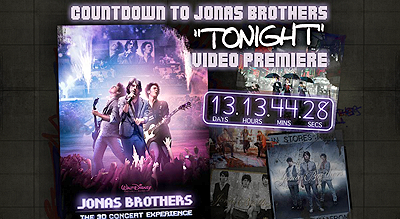 The Jonas Brothers added a new look to their myspace to promote the “Jonas Brothers: The 3D Concert Experience” and their new single/music video coming out, “Tonight“. You can check it out by clicking here.